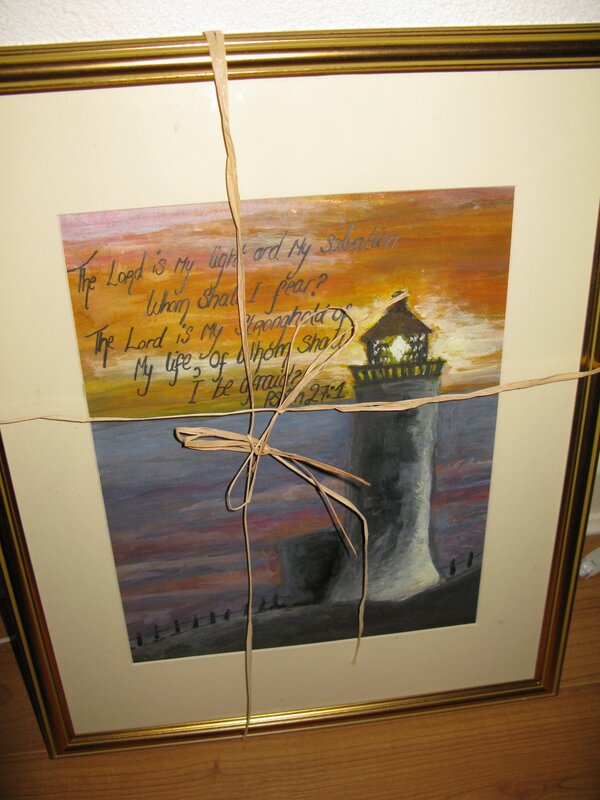 Just wanted to show you all this lovely work of art that was painted and framed for us by three young sisters in our fellowship. Literally smiling from ear to ear! Don’t keep us guessing…who did it? I’m guessing Karina for one. An inspiration – as you and Annie are.